Django Reinhardt is one of the all-time guitar legends, popular for his unique music. Let us learn about his life, troubles, influences and other factors that have led to his success and fame. 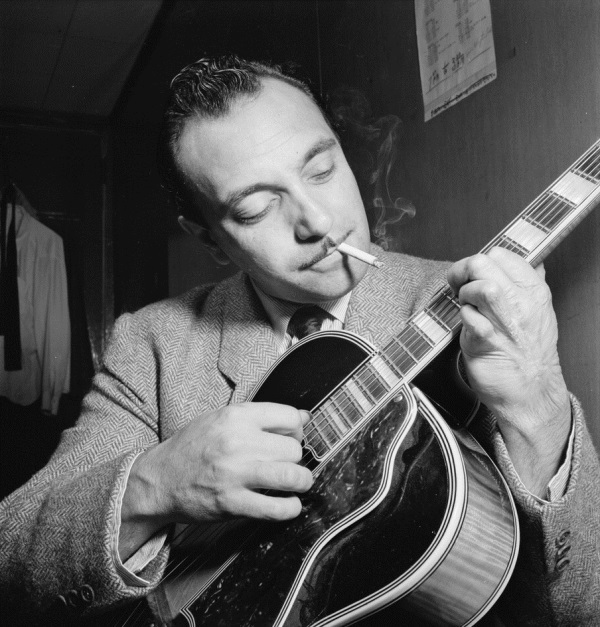 Django Reinhardt, like most other successful and popular guitarists, started at an early age. But he was a bit different in one way. 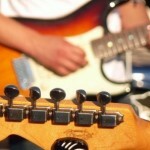 At one point, he had to learn a different guitar playing technique because he couldn’t use two of his fingers due to an injury. Despite this difficulty, and due to his unique playing technique and musical influences in jazz, swing and Roma music, Django Reinhardt became a legendary guitarist. Django’s interest in music was sparked by his parents. His mother was a dancer and his father was an entertainer and a musician. Some reports say that his parents were French Gypsies and that they settled in a camp somewhere in Paris. Because of this, Django wasn’t able to attend any formal schooling. Django learned to play the guitar/banjo alone. He didn’t learn how to read or write music. When he started making his own musical compositions, he had to find someone else to transcribe the music for him. When he was a teen, he started playing in Paris’ clubs. At the time, he was already developing his music with elements of Roma music, American Jazz and European music. He started playing with pop French music and then later on, added American Jazz to his musical repertoire. Some of the musicians he drew inspiration from include Louis Armstrong and Duke Ellington. Django’s career was going well when something tragic happened in 1928. The caravan, where Django lived, caught fire. Accidentally, a lit candle fell onto a piece of paper and the flames spread quickly. Django and his wife came out alive but he suffered from bad burns particularly on his left hand. He lost the use of two of his fingers on his left hand. His right leg was also burned. Django had to put a temporary stop to his music career. He spent 1.5 to 2 years trying to get back in shape. He also took this time to learn to play guitar again, now, without his two fingers. 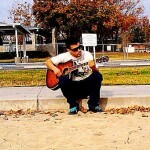 He was in pain but he found a way to use an innovative and unique guitar playing style that worked for him. By 1930, Django played the guitar incredibly and wowed the audiences in Paris. Starting his career once again, Django formed the Quintet of the Hot Club of France with Stephane Grappelli, a violinist. This group was formed in the mid-1930s and it also included Django’s brother, Joseph. The Quintet was the first European Jazz band. Their earlier songs included American songs like “Lady Be Good” and “Dinah,” which helped them gain popularity outside Europe as well. Just when Django’s career was skyrocketing, World War II began. It was said that Django was touring with Grapelli in 1939 when the war broke. Django went back to France, but this was later known to be a risky move. After a year, France was controlled by the Nazis. Django was in real danger. He was at risk of being killed in concentration camps. With some stroke of luck, Django was able to play clubs in Paris during the war. Why is that? The Nazis saw Paris as a playground or a place where the soldiers can find entertainment. However, Django didn’t want to be in such a perilous situation. Reports say that he tried to go to Switzerland twice, but both attempts failed. Django survived World War II and after that, he started playing the electric guitar. He also tried other jazz styles. 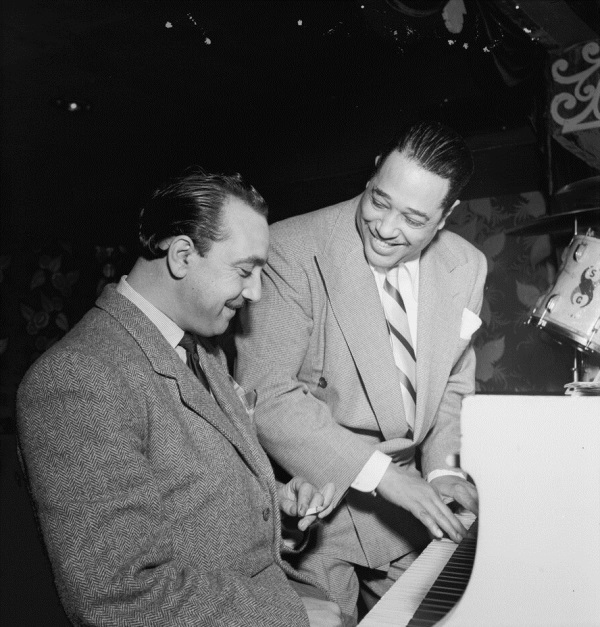 In 1946, he toured with Duke Ellington in the U.S. but he wasn’t received well by the American audience. He also attempted to form a new quintet and recorded with them. Django played with Dizzie Gillespie, a jazz legend in 1953. He made some records that year as well before he died on May 16. Django died from a stroke caused by a brain hemorrhage. While Django may not made it big in the U.S., he was considered as one of the most influential European musicians. 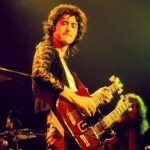 Further, his unique guitar playing style has influenced other popular guitarists like B.B. King and Carlos Santana. Django made Selmer guitars quite popular between 1932 and 1952. At that time, Selmer produced different models of guitars but the “Modele Jazz” was the one made famous by Django. These guitars were designed with a steel reinforced neck and a cutaway. 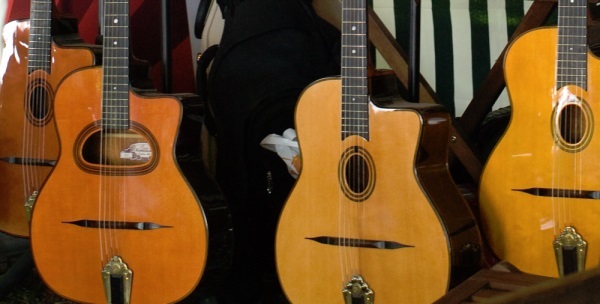 Mario Maccaferri designed the original Selmer Maccaferri guitar. It came with a 12-fret neck and D-shaped sound hole. When Maccaferri left, Selmer made some changes in the guitar by making it an oval sound hole and a 14-fret neck. Selmer guitars were made of Indian rosewood, walnut necks and ebony. The tops were made of French spruce. Django became an endorser of Selmer guitars, which means that he got to use a lot of different models. The two guitars that he kept and always used were the n°503 and n°704. He used the n°503 in 1940 until his death, while he played the n°704 in 1948 but the top broke during an Italian tour. Django preferred to use light silk and steel strings. And he preferred thick guitar picks, those made of natural tortoise shell. Aside from Selmer guitars, Django also used the Epiphone Zephyr #3442. He used this during his tour with Duke Ellington. It was an electric guitar but he never played it again afterwards. So there you have it. 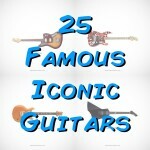 Another legendary guitarist and his story to fame and success. 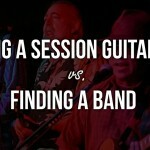 Being a Session Guitarist vs. Finding a Band – Which is Best for You? 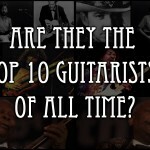 Are They the Top 10 Guitarists of All Time? "Good point, thanks. I will have to give it a closer look." 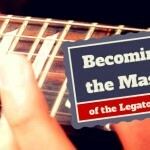 "Apparently, Ultimate-Guitar.com readers didn't consider it..."
"I've started my adventure with classical guitar too. Cheers!" "From my experience, the best way is to take a nice song and..."
"Thanks for commenting, Olaf :)"
© 2019 Learn Guitar 2. Theme by Anders Norén.